After my last post, I immediately got emails asking how I distressed my mirrored tray. I thought to myself, "Didn't they see my post on ..........?" 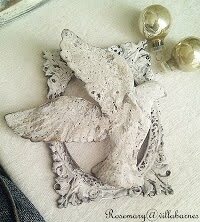 Sorry, sometimes I forget that quite a few of you are new readers, and, that it's been nearly two years since I shared how I used bleach to distress a mirror. You can refer to that post by clicking HERE. HOWEVER, I've used a multitude of chemicals to get various effects on the silvering. 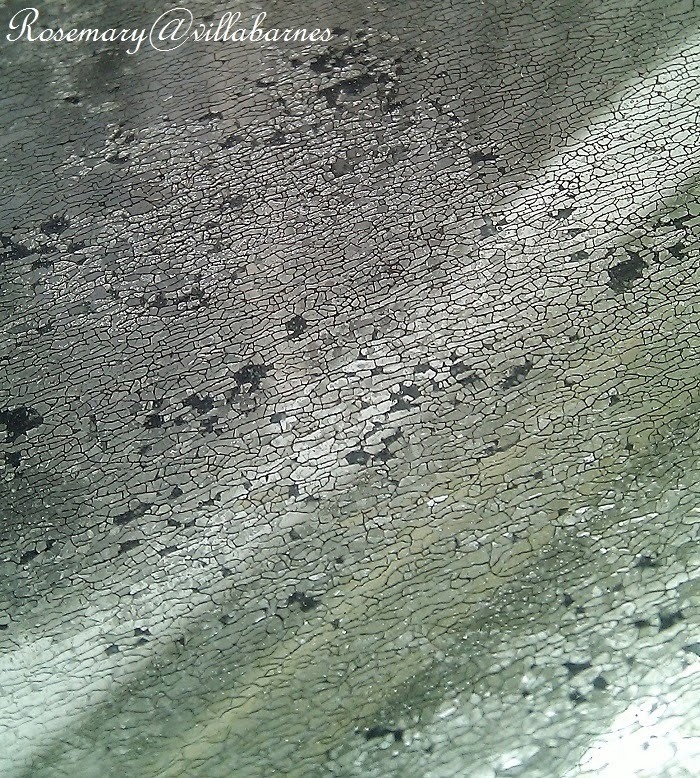 I gave this next mirror a crackle look. I WON'T be sharing THIS particular technique, because, it's one of my unorthodox methods that's not for the inexperienced. You can do serious damage to yourself, if you're not careful. I don't want to get into a bunch of disclaimers, precautions, warnings, etc., and, still hear that someone set their hair on fire, or passed out. 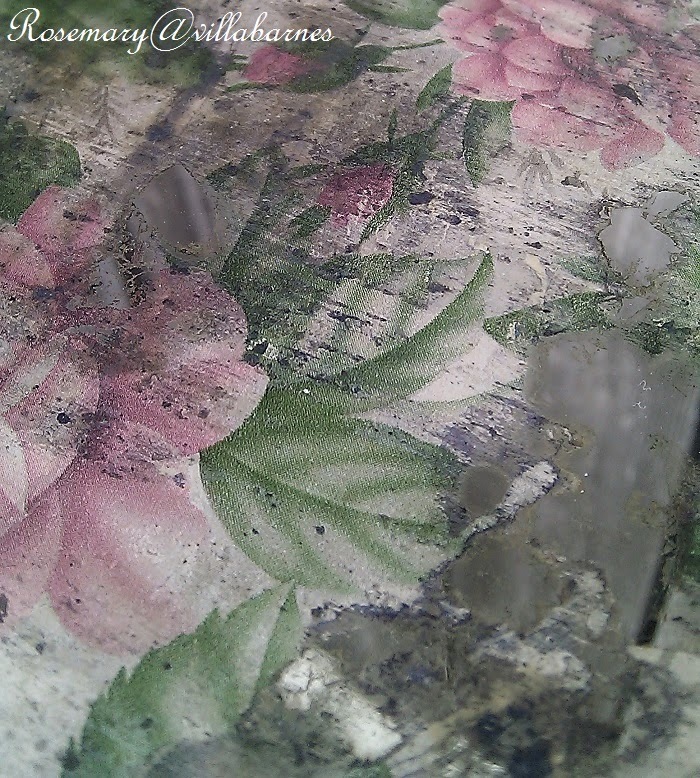 I was also asked what type of paper I used, and, where I decoupaged the paper. Okay, the rose paper is vintage craft paper. 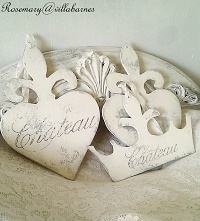 You can use pretty much any craft paper, wallpaper, book page, thin fabric, decorative tissue, etc. 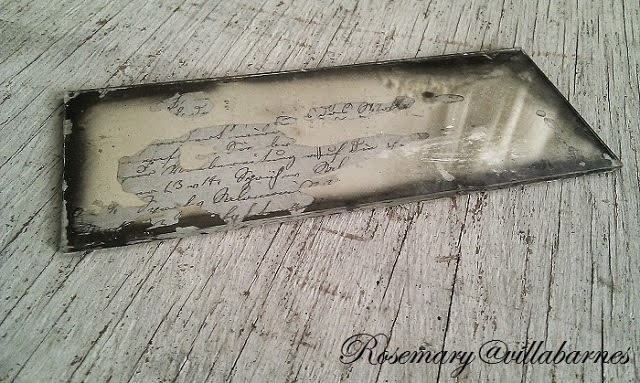 After you distress the mirror, the paper is decoupaged, face up, directly to the underside of the mirror. I did the same thing with script paper on this little mirror. The Villabarnes SPECIAL DISCOUNT on the Farragoz Online Painting Course ends Friday, May 30, 2014. Click HERE for info, or, click on the Farragoz banner on my sidebar. 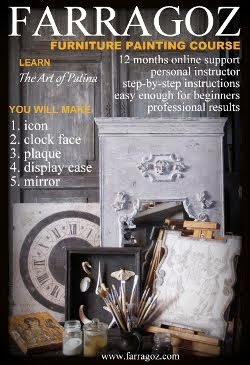 BTW, Farragoz has several methods for antiquing a mirror included in the course. I'm off to work like crazy. Getting ready for my upcoming shows. 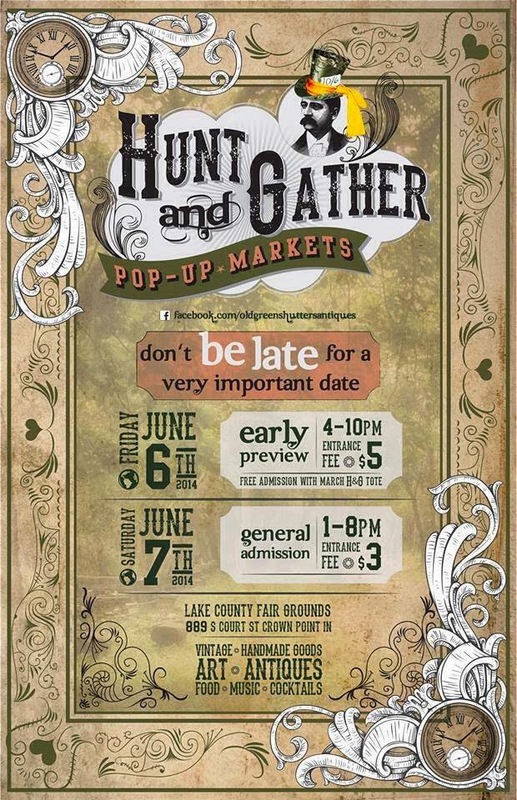 I'll be packing a great load for the Hunt and Gather Market next week. For more on this market, click HERE. 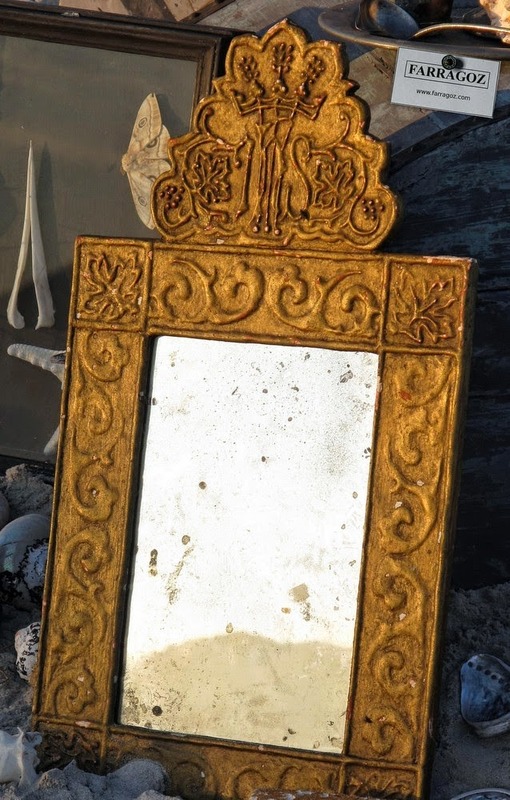 Your mirrors are charming, masterpieces of vintage creations!!! Ooops, as you know I'm far from a new reader so I probably should have looked through your archives:( Thank you for re-posting though, I definitely want to try this! You are a brave soul sharing the secrets to such a beautiful work of art!! Hopefully you won't see it all over cyber world with someone elses name on it!!!!!!! I admire the fact that you want to keep the secret to yourself - people are nuts and you know someone would want to sue you for their mistakes!! Hahaha! You do beautiful work and I really enjoy viewing it. I just signed up for the Farragoz course...I'm so excited. I've been on the fence about it but when I saw your reminder today I went ahead. Can't wait! 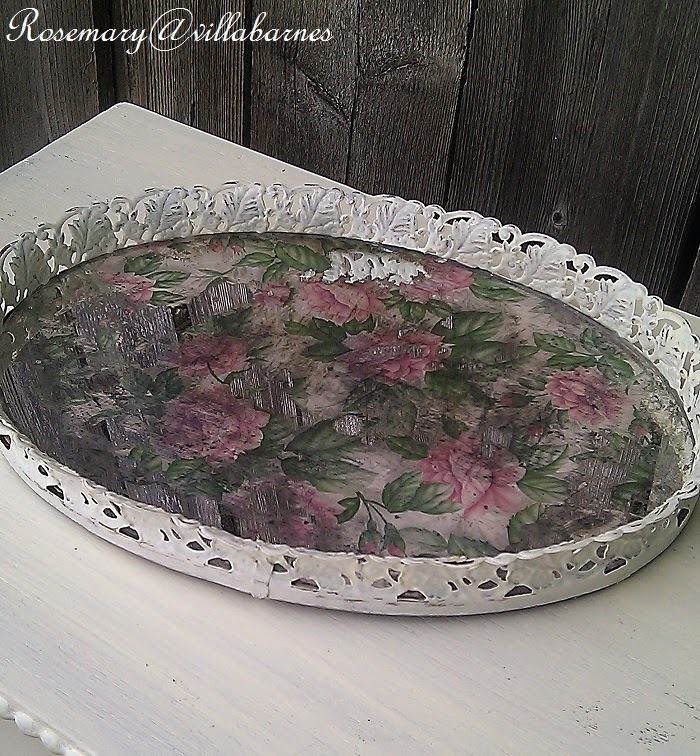 Rosemary, your mirrors are exquisite! 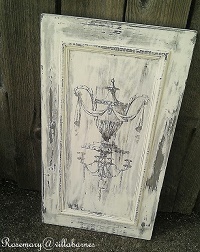 I'm glad you didn't post your method for distressing mirrors. 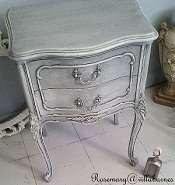 I have a friend who does a lot of furniture altering and refinishing. She has a method of distressing mirrors that is killer (literally). I would NEVER attempt it! 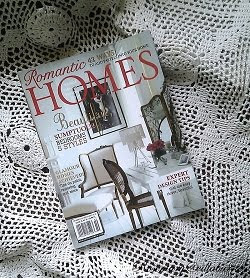 Your decoupage with the decorative vintage paper is so beautiful. Looks like Spring! Thanks for sharing your lovelies. Just wanted to let you know I signed up for the course. Can't wait. Your mirrors are fabulous as usual. Thanks, Rosemary. 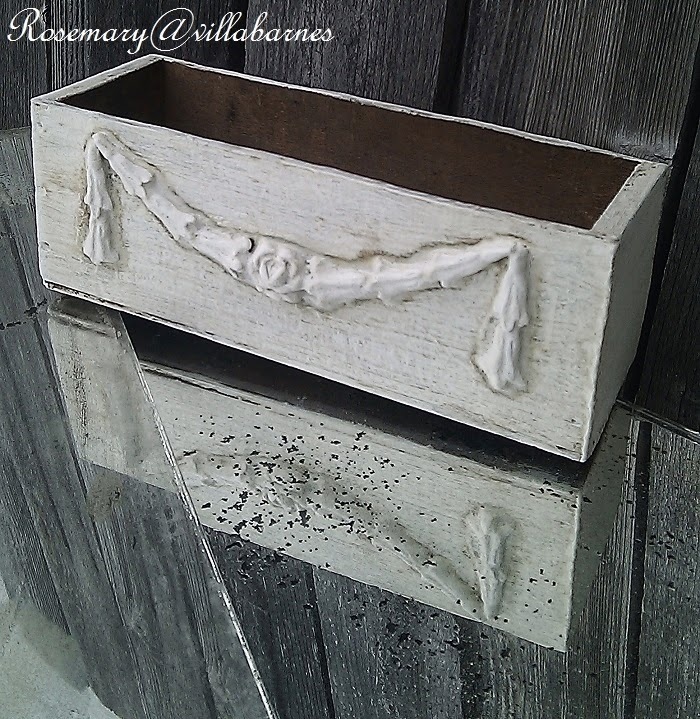 Really appreciate all the tips you generously share of your expertise in faux painting and distressing. With the risky techniques you are right to best not share them. 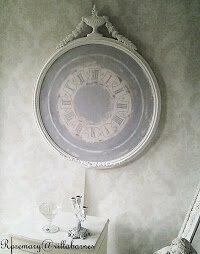 I am always impressed with your masterful creations, stunning mirrors ... Absolutely stunning. Sure to grace a home with uniqueness.